Whenever we discuss ERP implementations, manufacturers and value-added distributors ask us how much their project will cost and how long it will take. However, the complex factors, time and technology that is involved in an ERP implementation means that the answer is not as cut and dry as most would like. Because of the improved versatility of enterprise software platforms, ERP can serve businesses in a huge range of industries that employ anywhere between a dozen or thousands of team members. Such an immense variation means that the cost of an implementation varies widely, making it difficult to try and hash out an accurate or precise budget and calendar for an ERP project, and even harder to justify your initial estimates to the executives of the organization. 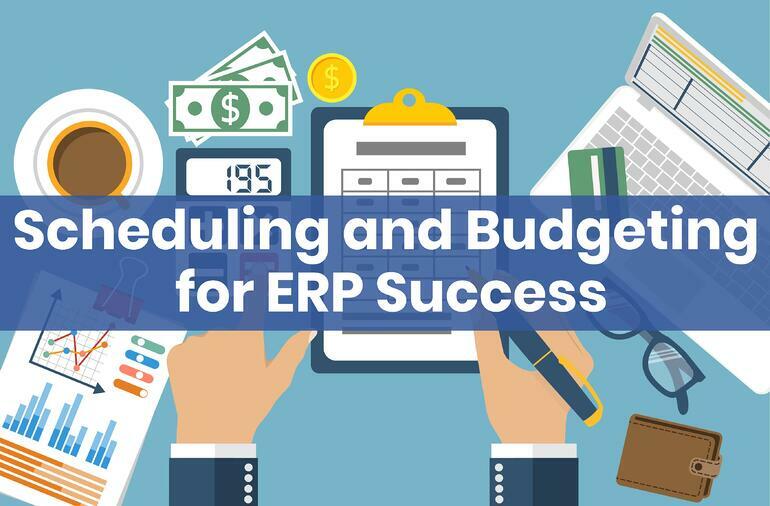 Creating a schedule and budget for ERP are two of the most important starting points on your ERP implementation project, so you can’t just brush them aside as impossible to estimate. Our Epicor ERP consultants have come across businesses that refused to create a budget and schedule, resulting in bloated projects that crossed the finish line later than expected and at an astronomical cost. To avoid software failure, you need to start setting a ballpark budget for the implementation by looking at the scope of your project, the configuration your unique system needs and how you plan your ERP system to grow with your business in the future. From that figure, you can then work on setting a more precise budget and schedule and allocating investments for the implementation. Read on for your key tips on scheduling and budgeting for your ERP implementation—and sticking to it. If there’s one thing to be wary of at the beginning of an ERP project, it is the quick numbers you’re going to hear from a software vendor. These are often the result of basic guesstimates without serious consideration of your company’s unique processes, employees or necessary ERP configurations. There’s simply no way to reach accurate or feasible goals without an idea of key cost-affecting factors like potential company growth, ERP hosting location or the amount of time needed to complete all the requisite modifications, training and installation necessary. If you’re going with an outside partner for your ERP implementation, then there needs to be a thorough conversation about the planned budget and calendar for the project before anything is signed. Your ERP budget will be significantly impacted by the hosting option you choose for the software. For example, on-site hosting will require a significant investment in middleware and server space. It will also require significant licensing fees up front that your team will no doubt have to budget for. However, after the license fee, you essentially will own the software and pay no monthly fees until it comes time for maintenance or a software upgrade. You might then want to include room for extra IT employees for training and server maintenance, as upkeep will entirely be up to you. If you’re opting instead for a cloud-based ERP system, then your pricing model (and therefore, your budget) will look much different. You won’t have to pay to install all the requisite hosting servers and machinery on-premises, or even to upgrade the software as necessary. Instead you will pay a monthly subscription fee, which includes the maintenance and upgrade costs and the cloud server space hosted by your vendor. That subscription fee will usually be contingent on the number of seats your company will be taking up. This means that your budget will need to be set over a longer period of time to include that monthly subscription fee, and to account for any planned growth and extra seats which will increase that fee. In the end, cloud-based ERP usually averages at a lower TCO (total cost of ownership) than on-premises systems and will likely be the best option for smaller businesses looking to keep their budget tight and their implementation schedule short. For more on the difference between cloud and on-premises ERP, read here! It’s hard not to get overwhelmed by all of the options software vendors can offer you. What with all the modules and new innovations available, it will seem like a buffet of ever-improving options and add-ons. Say you’re being sold on a predictive analytics feature that allows you to forecast future demand based on customer buying history. "Sounds great, add it to the package!" you say. However, this kind of attitude is common for any first-time implementer, and can be harmful to your ERP project. Every single module and customization is tempting, and can seem like a benefit to your business, but here's the rub: every add-on and customization will cost you. It’s like a mini-bar at a luxury hotel—first you were just going for the mixed nuts and then you find the whole thing emptied and hundreds of dollars on your bill. Set a specific customization plan before you even start your ERP implementation process. That way, you know how to target your vendor search towards systems that can support the functionality you need. ERP projects are somewhat notorious for going over budget and lasting beyond schedule—particularly the big name failures that make the news. However, it doesn’t have to be that way when it comes to your own implementation. With careful consideration of the current size and complexity of your organization and the software needed to support it, it is possible to determine a cost estimate and go-live date that can then guide your project to completion. Naturally, it is nigh impossible to predict every twist or turn of an implementation, and your budget and schedule need to reflect this variability. Be precise in your planning, but leave wiggle room in the event of any major changes in your implementation. For more help on planning out your own ERP budget along best practices, contact an expert at Datix today! 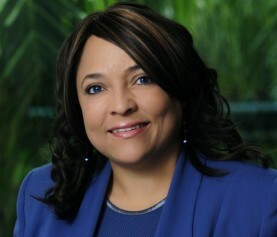 We have over 20 years of experience in helping our clients implement the best enterprise software for their business. On top of that, we're an Epicor Platinum Partner. With our vast expertise, we know how to balance the fine line between budget, time constraints and the ideal ERP for your organization.